Included in the price is a wellbeing GOODY BAG. Please feel free to come along even if you are new to yoga, there is always a first time for everything! 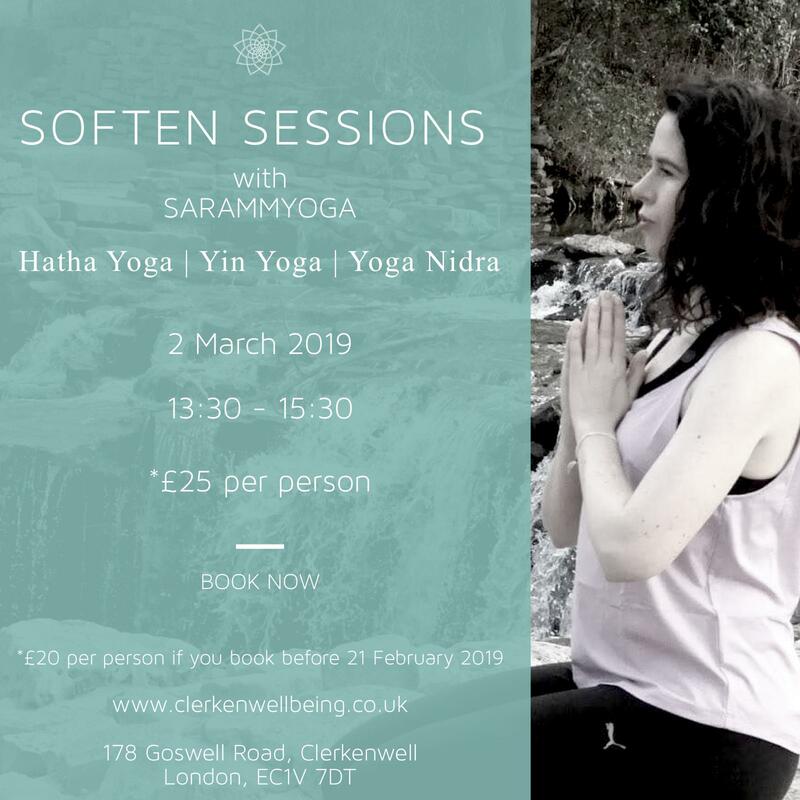 Sara has created a calming, softening session to give you a chance to unwind after the cold Winter Season and soothe your body and mind! The focus will be on the healing benefits of yoga through a ‘Hatha’ session. ‘Hatha’ which means ‘ha’ sun and ‘tha’ meaning moon and can balance your feminine and masculine energy through a series of warming and cooling sequences. This can leave you feeling more balanced and recharged. We will slowly connect to our inner selves and relax our body. Then we will connect to our breathing and learn to breathe fully, through a few Pranayama practises which have been proven to reduce anxiety and relax our muscles and improve sleep. This style of Hatha yoga will be gentle and a little on the slower side, to encourage students to feel each posture and give the mind a chance to go inwards. We will do a variety of asanas (postures) and also do the Classic Sun Salutation which is considered the perfect way to warm up the spine and body. Relax the body and soothe the mind with a mini Yin practice. You will work deeply into your body with longer held poses, which target the connective tissues (ligaments, joints, bones and the deep fascia networks). Yin stimulates the flow of energy throughout your body, relieves stress and helps you focus on the present and be less reactive to challenging situations. Allow your body to fall into a deep sense of rest and relaxation, as your nervous system calms down and the body learns how to release and let go. All you have to do is lie down, follow the voice that is guiding you and receive the benefits while the unconscious mind is absorbing the practice.